September - October 2017 The theft of well-being: a comment on Zunzunegui et al. The theft of well-being: a comment on Zunzunegui et al. El gran robo del bienestar: comentario sobre Zunzunegui et al. There is by now an enormous scientific literature on the relationship between wealth and health1. Over and over again, money heals and its absence cripples, wherever the goods and service that preserve health are commodities (and this is just about everywhere). In light of this overwhelming association, who could doubt that Spaniards relieved of their life's savings or forced from their homes by unscrupulous bankers might report feeling badly? It is easy to see how having one's home or savings swindled away might easily lead to outcomes such as depressive symptoms and lost sleep. From the small pilot study of Zunzunegui and colleagues comes some evidence that it is also associated with self-reported psychiatric diagnoses, chronic pain and diminished physical health2. The breadth of these associations is impressive, but not surprising. It is one of those hypotheses that simply has to be true, at very least for the subjective and self-reported outcomes like those investigated by these authors. The predictability of these findings does not diminish their importance as a menace to the well-being of citizens in modern societies. History shows repeatedly that losses to institutional malfeasance are more catastrophic than to common crime, and that these perpetrators are less severely punished3. Recent developments in many countries have shown the importance of a systematic study of financial fraud and its consequences. For example, US-based Wells Fargo, the world's second-largest bank, was the center of a financial fraud scandal last year in which its employees created over two million fake accounts. The bank settled for a $185 million fine, but this followed a series of previous fines and fraud scandals, including settlements for discrimination against minority borrowers, money laundering, deceitful fees, fraudulent mortgage practices and home appraisals, inflated insurance premiums, violation of credit card laws, and insider trading4. Similar stories of bank employees incentivized or coerced into defrauding customers have emerged in many other countries as well5, including Spain6. The response to these repeated assaults on the livelihoods of working men and women from the public health research community has been minimal. Despite an enormous literature on the health effects of giving small amounts of money to people7, there has been almost no attention to the potential effects of swindling away large amounts of money through dishonesty and breach of trust. Lichtenberg and colleagues8 did observe increased incidence of fraud among participants of the Health and Retirement Study, and noted that psychological vulnerability was predictive of fraud victimization, but they did not study its health consequences. Likewise, Conrad et al.9 considered the measurement of “financial exploitation”, but not the consequences of this exposure for health. The new paper by Zunzunegui et al., while admittedly preliminary, therefore serves as an important step in quantifying the association between financial fraud and adverse physical and psychological symptomatology. Obviously, the cross-sectional design employed by these authors renders it impossible to distinguish factors that predispose to victimization from factors that result from it, but the association is equally worrisome in either direction. Zunzunegui et al. collected self-reports of physical and mental health indicators in people affected by two types of financial fraud (preferentes and multidivisas), and compared the prevalence of these indicators with national estimates from Spain. They found a substantially higher prevalence of poor physical and mental health among victims of financial fraud, especially in those that were not compensated for their losses. Both schemes were occurring commonly in Spain during the aftermath of the Global Financial Crisis of 2008, and are well-known in other countries as well10. The first scheme, preferentes or preferred shares, was a debt instrument in which clients would invest savings in preferred shares of the bank, under apparently very advantageous terms which were in fact misleading. Zunzunegui et al. found this mechanism to differentially affect older people in their sample. A key feature of the ongoing economic crisis in Spain over the last decade has been increased financial pressures on the elderly11, since family members enduring high levels of unemployment rely increasingly on the public pensions of their retired elderly relatives12. This means that a ripple effect likely occurs throughout the dependents of these older providers, making the direct victims of fraud just the tip of the iceberg of all those who are adversely affected. The second fraud mechanism, multidivisas or mortgages in foreign currencies, were problematic because of the instability of exchange rates that exposed new homeowners to unsustainable levels of debt. Again, these were peddled to consumers with rosy optimism, only to see many mortgages go into default and many homes repossessed. The Zunzunegui et al. study found the average age of these victims to be lower, as one would expect for mortgage-holders. Rather than losing savings, these victims faced default and eviction, which have been on the rise since the beginning of the economic crisis13. This type of fraud therefore also affects family members who are evicted together, making the impact broader than just the respondents themselves. In 2012 several prominent suicide cases linked to evictions received extensive media exposure, leading to popular outrage and increased attention towards grassroots organizations dealing with these social issues14. Several public health studies have looked at the consequences of such evictions on health in Spain, even if they did not measure financial fraud directly15,16. One of these studies found an increased prevalence of poor self-reported health and mental health in victims of foreclosures and evictions in Spain16. These victims likely overlap, to some important extent, with the victims of financial fraud by mortgages in foreign currencies. It is worth nothing the small and unrepresentative sample employed by Zunzunegui and colleagues, suggesting that the findings should primarily serve to motivate more extensive and definitive research work in this area. A further limitation noted above is that psychological and physical morbidities can be both causes and consequences of victimization, making their observed association entirely ambiguous in a causal sense. Most likely, both mechanisms exist to some extent in a mutually reinforcing relationship, and it would require great effort and cleverness in the study design to distinguish these two pathways. On the other hand, the policy response that is urgently needed does not require this distinction. Bank customers should be protected from being conned and cheated as a matter of basic social protection, just as they should be protected from other forms of criminality and assault. Psychologically or physically vulnerable people may indeed be more susceptible to dishonest banking maneuvers, as suggested by some previous research17. And yet it is equally likely that loss of financial resources and eviction from one's home creates additional vulnerabilities. There is therefore likely to be an important feedback loop, with the distinction being that individual vulnerability of the defrauded investor may precipitate a financial catastrophe that in turn harms the entire household, multiplying vulnerabilities throughout the population. In any case, policies that reign in the unethical or criminal behavior of banks will mitigate harm stemming from both mechanisms. The routine practice of deception or fraud by financial institutions is something that would warrant immediate policy interventions even if it did not affect health. Nonetheless, the momentum in much of the world seems to be in the opposite direction, giving banks more latitude to increase profits through any means necessary18. The motivation for a public health literature on these relationships arises from a need to understand social determinants of health and the mechanisms by which they are generated and reproduced. We already know that poverty and homelessness are causes of illness in some broader sense. It is now the task to simply connect the dots, and flesh out the mechanisms by which such misfortunes are generated on a mass scale. The new article by Zunzunegui and colleagues is a noble beginning to this work, and a spur to increase the scope, specificity and impact of this important new research program. Both authors contributed equally to the writing of the essay. There was no funding received to support this work. Usama Bilal was the recipient of a fellowship from the Obra Social La Caixa in 2013-2015. R. Chetty, M. Stepner, S. Abraham, et al. The association between income and life expectancy in the United States, 2001-2014. M.V. Zunzunegui, E. Belanger, T. Benmarhnia, et al. Financial fraud and health: the case of Spain. White-collar crime and punishment: the class structure and legal sanctioning of securities violations. Wells Fargo scam latest in a string of infractions. ‘We are all doing it’: employees at Canada's 5 big banks speak out about pressure to dupe customers. [La CNMV multa a Bankia y Catalunya Banc por vender preferentes]. M. Lagarde, A. Haines, N. Palmer. The impact of conditional cash transfers on health outcomes and use of health services in low and middle income countries. P.A. Lichtenberg, M.A. Sugarman, D. Paulson, et al. Psychological and functional vulnerability predicts fraud cases in older adults: results of a longitudinal study. K.J. Conrad, M. Iris, J.W. Ridings, et al. Self-report measure of financial exploitation of older adults. Financial fraud: a literature review. MPIfG Discussion Paper. Spain's jobless rely on family, a frail crutch. T. Benmarhnia, M.-V. Zunzunegui, A. Llácer, et al. Impact of the economic crisis on the health of older persons in Spain: research clues based on an analysis of mortality. 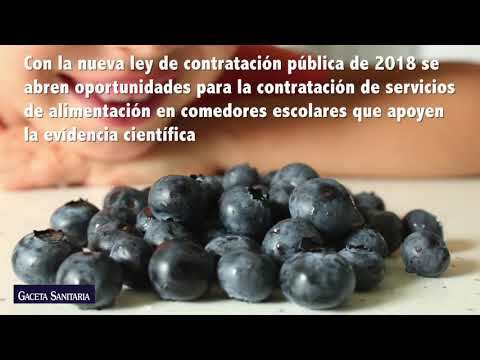 SESPAS report 2014. Wave of evictions leads to homeless crisis in Spain. Redefining the crisis/redefining democracy: mobilising for the right to housing in Spain's PAH movement. H. Vásquez-Vera, L. Palència, I. Magna, et al. The threat of home eviction and its effects on health through the equity lens: a systematic review. H. Vásquez-Vera, M. Rodríguez-Sanz, L. Palència, et al. Foreclosure and health in Southern Europe: results from the Platform for People Affected by Mortgages. Financial exploitation, financial capacity, and Alzheimer's disease. Donald Trump plans to undo Dodd-Frank Law, Fiduciary Rule.